Super Growth boost plant's growth hormone during the vegetative stage. This will allow plants to go all out with their vegetative cycle resulting to outstanding growth speed and maintain top vitality. 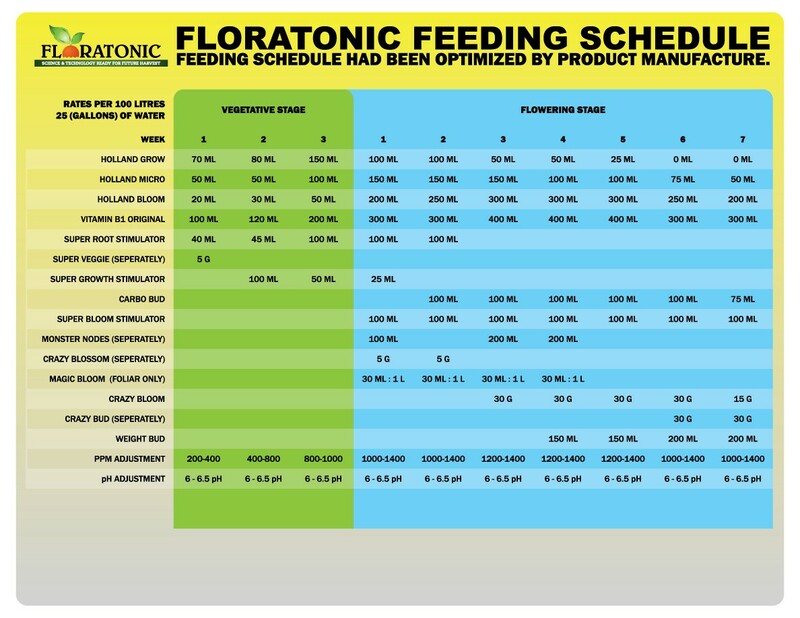 Click here for Floratonic's complete feeding schedule. Feed premium Holland nutrients from Floratonic to your plants, superior yield quality will speak for itself.